This is required so your application can send notifications via email. Find below an example of configuring the email using a Gmail account from the Moodle Administration Panel. 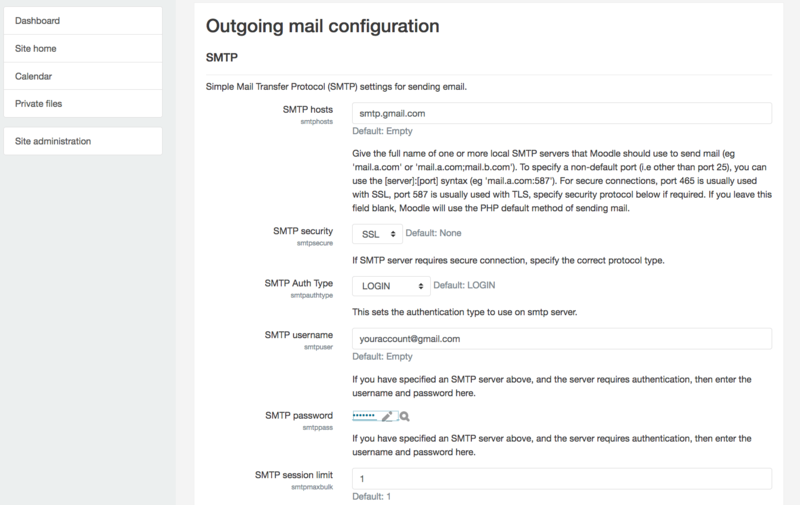 Log in as the administrative user and go to the “Site administration -> Server -> Email -> Outgoing mail configuration” section. Replace USERNAME and PASSWORD with your Gmail account username and password respectively.